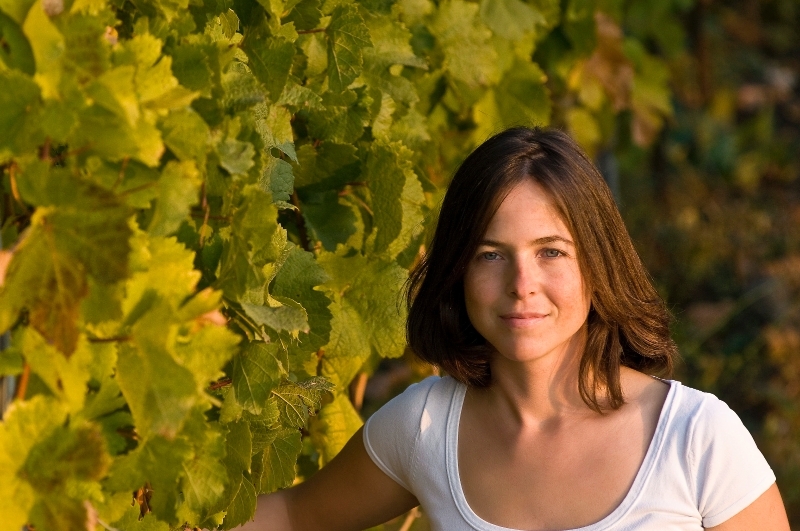 In this issue, get to know Ingrid Groiss, the Weinviertel and Gemischter Satz. 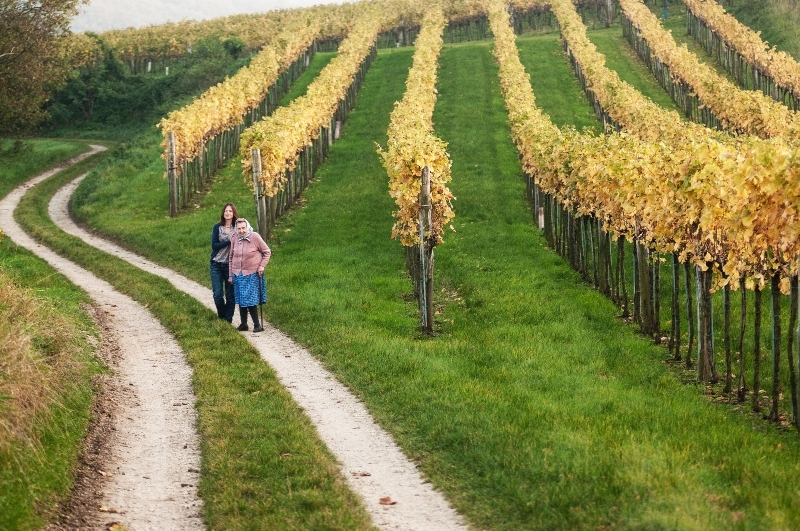 The oldest and the largest wine growing districtus in Austria, the Weinviertel, is where Ingrid Groiss calls home. The area spans from the Czech border in the north, the Danube in the south, the Slovakian border in the east, and Manhartsberg in the west. Known for its classic peppery characteristic, or “pfefferl”, the region’s leading grape variety, Grüner Veltliner, made Austrian history as the first wine of origin in the DAC appellation system. The Weinviertel’s various microclimates and geological make up not only favor Grüner Veltliner, but also other varietals such as Riesling, Weisburgunder, and Welschriesling. 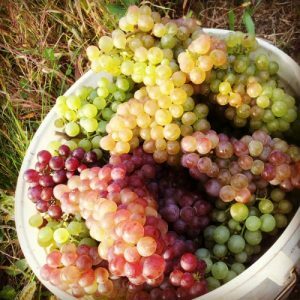 In Austria, the crafting of a Gemischter Satz wine is known as the traditional practice of growing many different white grape varietals in one vineyard and fermenting or blending them together into one wine. For a large part of the 19th century, mixed-vineyard farming was a preferred method in numerous wine regions due to the natural balance wines could have based on the combined characteristics of multiple grape varieties. Gemischter Satz is commonly associated with Vienna’s heuriger culture that allows families to sell their farm wares directly to consumers without interference from normal commerce rules. An early example of the now popular “farm to table” concept, the family heuriger or wine tavern, helped to preserve older vines, native varieties and aspects of traditional mixed agriculture. 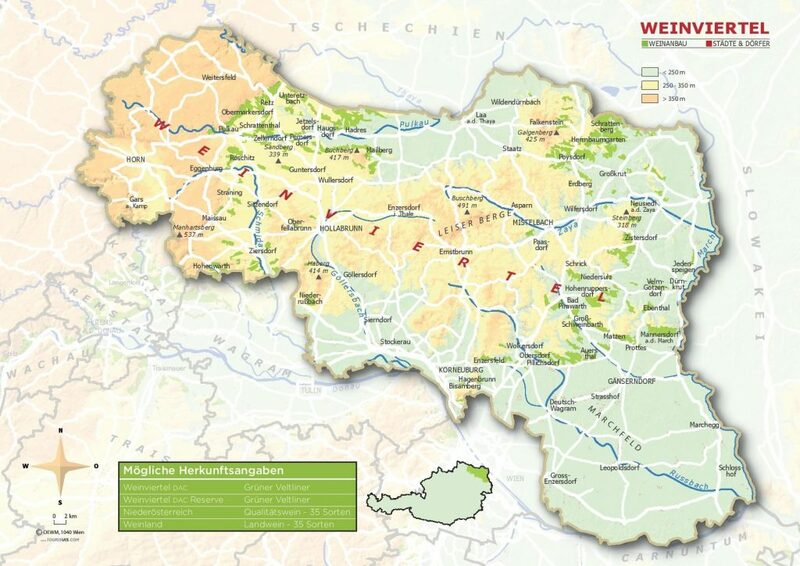 While most people seeking Gemischter Satz rightfully look to Vienna, these special wines can be found in appellations outside Vienna such as Weinviertel, Kamptal, and Thermenregion. Heurigers also are found all over Austria wherever the local wine culture is strong. Gemischter Satz: mixed plantings of different grape varieties. Gemischter Satz 17 different varieties (among them are really old autochthonous varieties like Hietl Rote, Silberweisse, Graue Vöslauer, Brauner Veltliner – varieties that are nearly extinct nowadays), grown and cultivated on Ingrid’s various vineyards sights of Schablau and Sauberg. Dorflagen is a generic term meaning “village” used to describe the cuvee of grapes from these single vineyards which lie in the separate villages of Breitenwaida and Paugsdorf respectively. The entrance to my kitchen bears a framed wooden spoon with a crack through the middle of its dish that reaches to the top of the handle. My grandmother, an immigrant from Thailand to the United States, wielded this wooden spoon to create memories of home in our American kitchen – curries, stir-fries and noodle dishes. Her daily Thai language lessons were dished-up spur of the moment. Her gentle mannerisms and absolute dedication to our family shaped the foundation of my life and the life of my brother. Upon our grandmother’s passing I inherited her wooden spoon and my brother inherited her favorite stockpot. They are a reminder to us that things made by hand, from home and with love become part of our fiber, strengthening our connection to each other when we share our personal cultures. Grandmothers can be so powerful. Whenever I drink a wine made by Ingrid Groiss or even think about a wine made by Ingrid, it reminds me of my grandmother. Across the world from America and Thailand in the little village of Breitenwaida, Austria located in the heart of the Weinviertel wine region are small vineyards planted by Ingrid’s Oma (Grandmother). These vineyards hold a cultural treasury of grape varieties that when fermented become a Gemischter Satz. Ingrid says: “Gemischter Satz was the traditional way of planting vineyards in former times. Gemischter Satz means that there are many different varieties planted together in one vineyard and the grapes are harvested and fermented together. The reason why people did it this way was that the vineyards and the grapes are always much more healthy and vital than if you have a monoculture with just one variety. The other reason was to get every year a wine that is really balanced and harmonic. No variety is dominant…” In years when one variety may not fare as well, another variety may shine so having a mix of varieties: some that have more acidity, some that have less, some that ripen earlier, some that ripen later, some that are more fruity and some that are more structured results in a wine that can find a balance even in difficult vintages. Ingrid crafts two different Gemischter Satz in two differing styles. Her Gemischter Satz Dorflagen is made in an early approachable style with skin contact lasting about six hours and the wine raised in stainless steel. The Gemischter Satz Dorflagen is a cornerstone wine of her offerings and can be cellared between 3 and 5 years. In far more limited quantities comes her Gemischter Satz Herr Bernhard. This wine, not yet released in the USA, is crafted with extended skin contact and raised in neutral barrel giving the wine time to mingle with oxygen. This is a wine for cellaring. 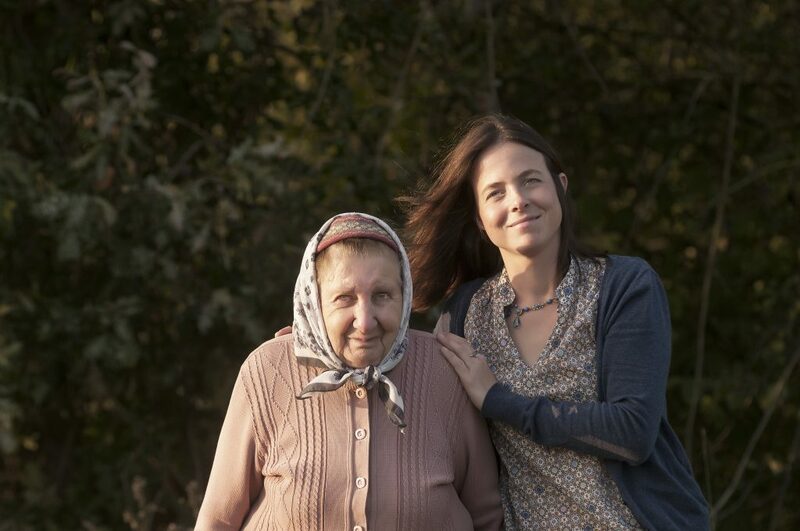 In both cases the wines are fermented with “vineyard yeasts” and utilize the seventeen different varieties planted by Ingrid’s Oma, Anna, who sadly passed away in November 2014. Such endangered varieties as Früroter Veltliner, Grauer Vöslauer and Hietl Rote are included. Around the offices of Circo Vino, we refer to Gemischter Satz as “G. Satz” and Ingrid as the “DJ G. Satz.” To all of us at the Wine Circus, Ingrid is the Master Mixtress, the Grandmistress Flaschen, the lady that puts the G to M to the T to the Satz. Do not be afraid of wines you cannot pronounce for within these bottles of G. Satz you will find the Power of Oma. Ingrid’s Grüner Veltliner Weinviertel DAC 2014 is the winner of the Grand Cru Tasting in A La Carte Magazine. Grand Cru blind tastes more than 600 wines in 3 different categories: Grüner Veltliner Classic 2014 up to 12,5%, Grüner Veltliner Reserve 2013, and Grüner Veltliner Reserve 2014. Among being awarded the winner of the Tastings, Ingrid was also given a 94 point rating for her Grüner Veltliner Sauberg Tradition and a 95 point rating for her Grüner Veltliner Weinviertel DAC Reserve “In der Schablau”.